On 26-27 November will be held in Belgium the "Albanian Days of Culture in Brussels." In this initiative that comes as a cooperation of the National Diaspora Agency with the "Neranxi Culinary Institute", will be present the Minister of State for Diaspora, Pandeli Majko. The specialty of this activity is the moving bus, which started yesterday the journey toward the "Place du Luxembourg" square, where this special activity will take place. Throughout these two days, all Albanians, as well as citizens of Brussels, will have the opportunity to enjoy typical Albanian traditional products. 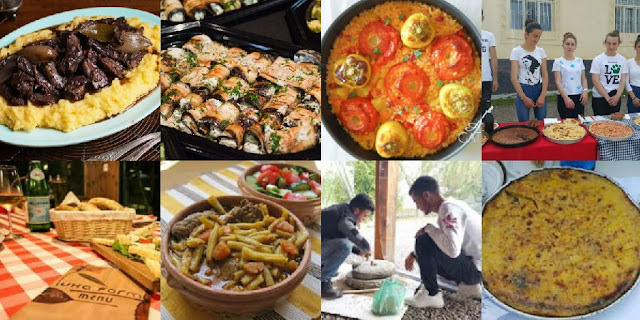 The Culinary Day, apart from promoting the Albanian products and recipes in Diaspora as one of the elements for preserving national identity, aims to foster the exchange of gastronomic cultures and cooperation with companies of the hosting country of the Albanian Diaspora.